MasterCard has outlined plans for a new authentication standard designed to end the use of passwords in online payments, saying that the protocol could be released as early as next year. The firm says the new standard, which is being developed in cooperation with Visa, will move security infrastructure beyond the PC era, “supporting emerging technologies and changing consumer needs”. The new protocol could be adopted in 2015 and will gradually replace the current 3D Secure protocol. “[R]icher cardholder data … will result in far fewer password interruptions at the point of sale”, said MasterCard. In the event that an authentication challenge is needed, cardholders will be able to identify themselves with the likes of one-time passwords, or fingerprint biometrics, rather than committing static passwords to memory. French actor Gérard Depardieu gesturing to Vladimir Putin after receiving a Russian passport. One of the best things about covering payments news is that you never run out of stories where various myopic governments attempt to restrict the flow of cash in a squeeze for revenue. France becomes the latest as Prime Minister Jean-Marc Ayrault plans to erect new controls on cash transactions in order to tighten up tax collection and meet the country’s optimistic budget deficit target of 3% of GDP. The government needs euros and they need some fast. 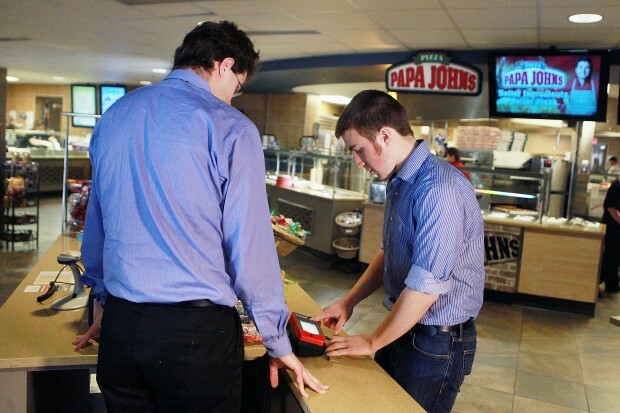 Bernie Keeler, a mechanical engineering student at South Dakota School of Mines & Technology, demonstrates how to buy an item using biometric payment Tuesday at the Miner’s Shack snack bar. Nexus USA is piloting the Smart Pay system on the Mines campus. School of Mines students and all of Rapid City could soon be at the cutting edge of a technology that developers say will eliminate the need for cash, IDs and maybe even car keys. An RCMP officer holds Canada’s new $100 banknote, which is made from plastic polymer and is designed to last longer and thwart counterfeiters. (Fabiola Carletti/CBC) Sweden and several other countries are experimenting with cash-free transactions, a trend that is fuelling debate about the need for tangible currency. Readers were quick to offer their two cents onFriday’s editorial about the idea, “The International movement for the end of cash” by CBC’s Brent Bambury. The majority of commenters were resistant to the idea of a cashless society, citing everything from decreased privacy and higher-tech crime to corporate control and technological vulnerabilities. Economic Collapse writes: Most people think of a cashless society as something that is way off in the distant future. Unfortunately, that is simply not the case. 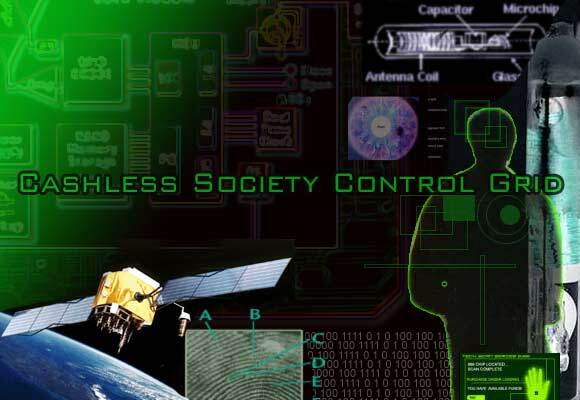 The truth is that a cashless society is much closer than most people would ever dare to imagine. 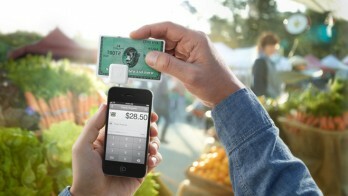 To a large degree, the transition to a cashless society is being done voluntarily. Today, only 7 percent of all transactions in the United States are done with cash, and most of those transactions involve very small amounts of money. Just think about it for a moment. Where do you still use cash these days? If you buy a burger or if you purchase something at a flea market you will still use cash, but for any mid-size or large transaction the vast majority of people out there will use another form of payment. Our financial system is dramatically changing, and cash is rapidly becoming a thing of the past. We live in a digital world, and national governments and big banks are both encouraging the move away from paper currency and coins. 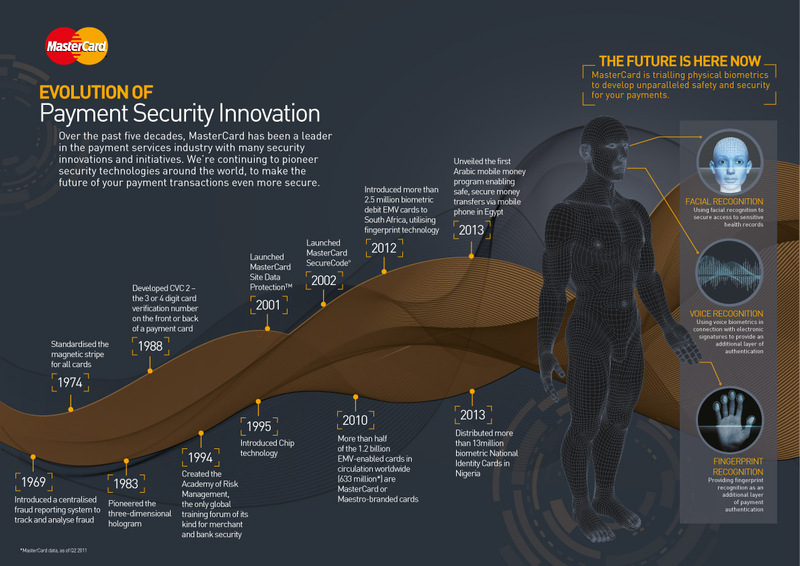 But what would a cashless society mean for our future? Are there any dangers to such a system? Those are very important questions, but most of the time both sides of the issue are not presented in a balanced way in the mainstream media. Instead, most mainstream news articles tend to trash cash and talk about how wonderful digital currency is. InSweden, just 3% of the economy is powered by coins and paper money. Public buses don’t accept cash, churches have installed card readers to take donations, and there are even some bank branches that refuse to take your money, opting instead to deal with electronic transfers only.